On entering University, you’re thrown in the deep end pretty quickly trying to get to grips with student life, independent life and juggling with your social life. But as always, the internet is here to help, offering up thousands of websites to help you with all the things that you can no longer just ask your parents. We’ve compiled a list of the top 22 websites we think every student must know, ranging from life hacks to saving money to keeping up with the Uni’s local gossip, in the hope of making your student life a little bit easier. The Tab should be every students go to place the minute they open their laptop, it is a hugely entertaining website with hundreds of new posts every day. The coverage is run by young editors from more than 80 Universities, so it is a way to stay up to date with not only national news but events and goings-on specific to you! 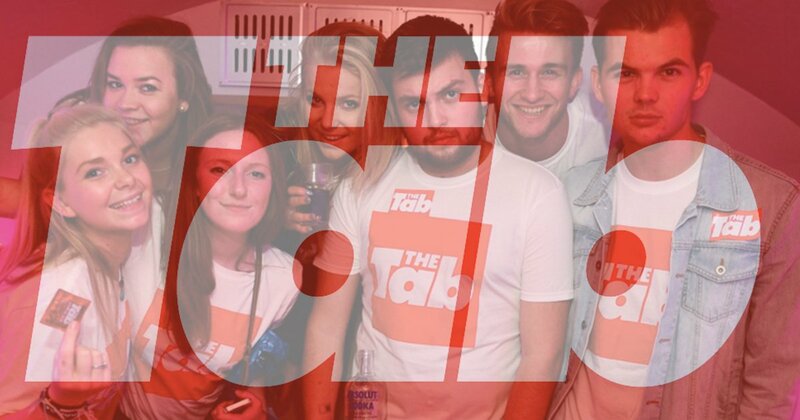 The tab is also a platform for student journalists to write and report both professionally and independently, with a separate editorial team in each city, so is amazing for those looking for a career in Journalism. Buzz Feed is the ultimate website for students with who want to read social news and entertaining posts in an interesting and innovative way, filled with photos and videos and aimed at students. A great site to check out as a distraction from work! The Huffington Post is great for students who want to read original and incisive coverage of British politics, entertainment, style, technology, and world news. It features blog posts from all sorts of business professionals and has a ‘Young Voices’ section that is aimed at students and has live conversations and blog posts by students. Despite being on the Buzz Feed site, Tasty definitely needs its own post. Filled with easy recipes and video demonstrations, Tasty is absolutely perfect for students who want to cook simple but extremely delicious and sometimes even exotic meals! Follow the Instagram and facebook accounts too for extra recipe videos. Food For Thought is an absolute life saver when, as a student, you’re feeling a little bit worse for wear. Whether you’ve got a headache, a cold, are stressed or can’t sleep, Food For Thought will tell you which foods to eat to get you feeling 100% again. 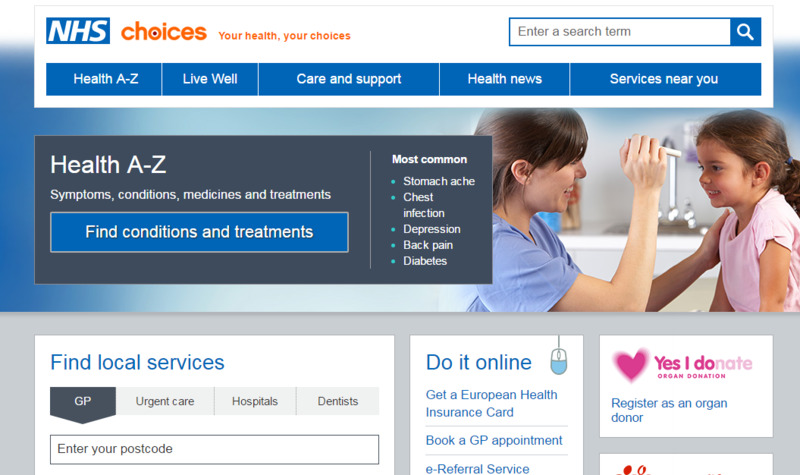 The National Health Service website is a go to for students who want to check up on symptoms, health and treatments as the website provides information on illnesses and diseases of all kind. Unidays is a great way to get student discount without the hassle of getting yourself a student card. 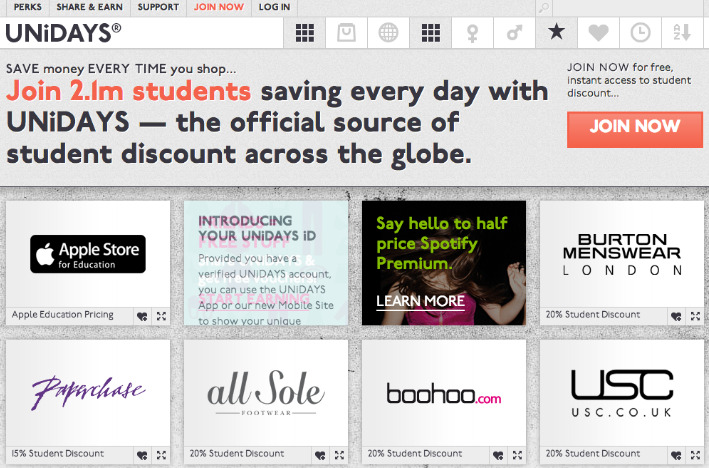 Simply log on to your University account via the Unidays website and you’ll have access to student discount codes for thousands of shops. 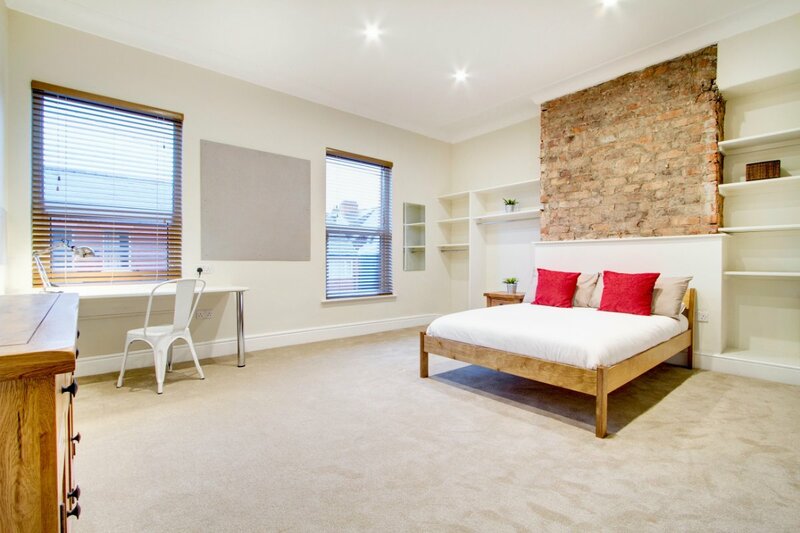 Moon Pig is great for students living away from home who can’t be there for special occasions. You can create personalized photo cards, send gifts and even send video message cards, without even leaving your room. Moon Pig is also perfect if you completely forget a birthday, click send first-class before 7pm that day and it’ll be there the next day! Save The Student is a great website for a student on a budget. It publishes articles on how to make, save and spend money while at University and tells you everything there is to know about student discounts, great deals and even free stuff! Ebay is great for students looking to find some bargains or looking to boost their funds by selling their old clothes and belongings online (Ebay allows you to sell just about anything). The Student Room is the largest student community in the world with over 1.8 million members. It is a forum and wiki where students can discuss anything from academia to lifestyle and share their knowledge and experiences. It also gives free University application help and useful revision tools. Keep Me Out is a great website to use when you’re trying to revise but you keep finding that you’ve accidentally flicked back onto Facebook, or you’re just about to pay for a new outfit online. Add bookmarks on the website of your most distracting websites and Keep Me Out will block you from using them for however long you determine. Life Hacker is great for students as it provides answers to our most random questions and aims to help the reader with modern world problems. The topics range from life to work to tips and tricks to make everyday life that bit easier. Turnitin is a plagiarism site used by over 15,000 institutions and 30 million students. It is definitely a good one to have on the list as it not only checks for originality but also gives formative feedback on prompt based student writing. Prezi is a free online presentation software which allows you to use spatial relationships, zoom and motion within your presentations in order to bring your ideas to life and take your presentations to a whole new dimension. Rate My Professors has around 15 million reviews on over 1.4 million professors. It’s a great way to find out more about your professors before you choose their modules, or leave feedback on your own professors to help others out. Google Drive is website which allows you to store any files so that you can then access them from any smartphone, tablet or computer. It is also great for group projects at University as you can invite others to share a file with you so that you can all edit and add to the document together, without even being in the same place! Evernote is an extremely handy productivity app and website that allows you to keep note of your ideas, projects, lists, and inspirations and have them handy across all your different smart devices. For students this is a great way to never forget your notes again! Easy Bib is an absolute god send for all essay writing students who need help citing websites and creating bibliographies. 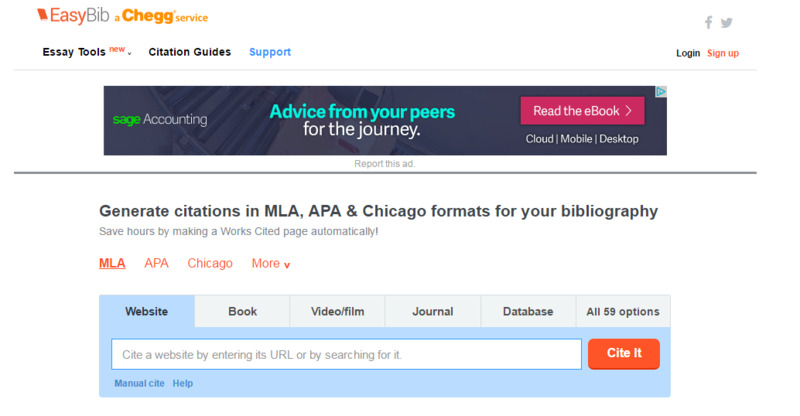 Simply copy and paste the website URL into the tool bar, or search for it through the finder and Easy Bib will generate your citation in whichever format you choose! 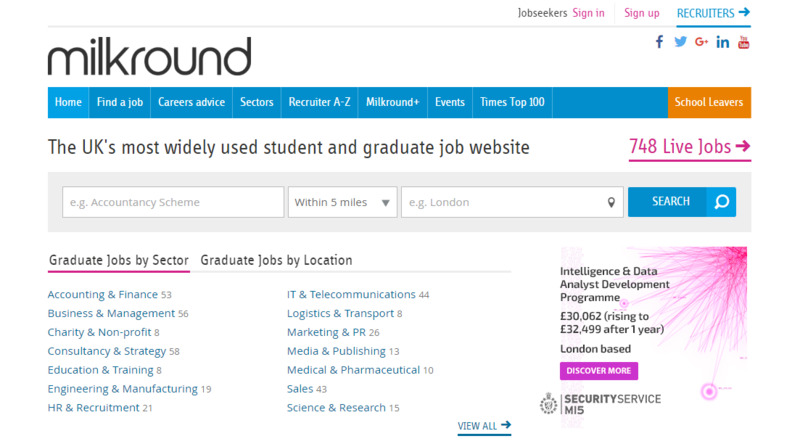 Milkround is the most widely used student and graduate job website in the UK, so it definitely should be on your list of websites to remember. With career advice, job seekers articles, guides and blog posts for getting the best jobs, and careers advertised in all different sectors from accounting and finance, to media and publishing, Milkround has it all. Rate My Placement is another great website for finding student placements and internships. As well as searching for jobs you can also discover the top 100 employers, read reviews on companies and gain advice from their different zones.